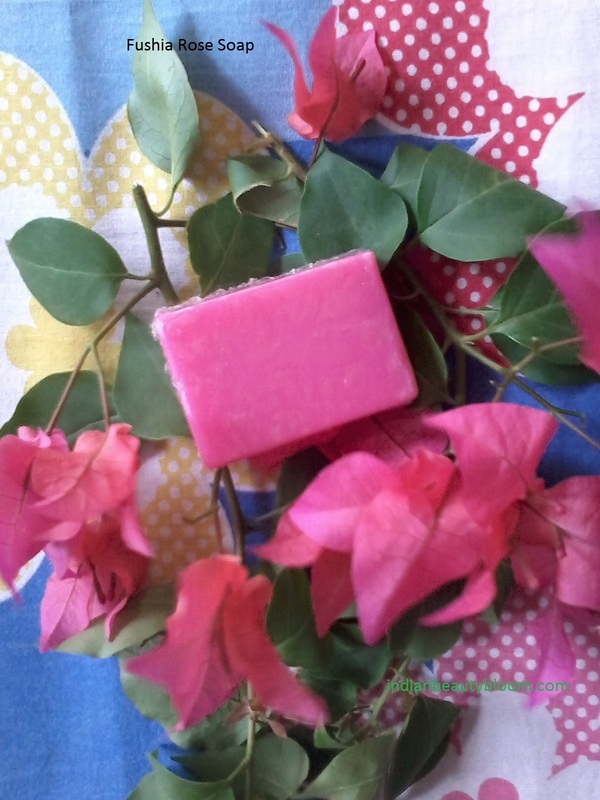 Today i am going to review a natural hand made soap from Brand Fushia from Vkarebiosciences.com. This brand prepares products from natural ingredients , fragrances and essential oils . It has a good collection of skin care products like hand made soaps , lip balms , moisturizers etc . The first product from this brand which i have tried is this Hand made Rose Soap . 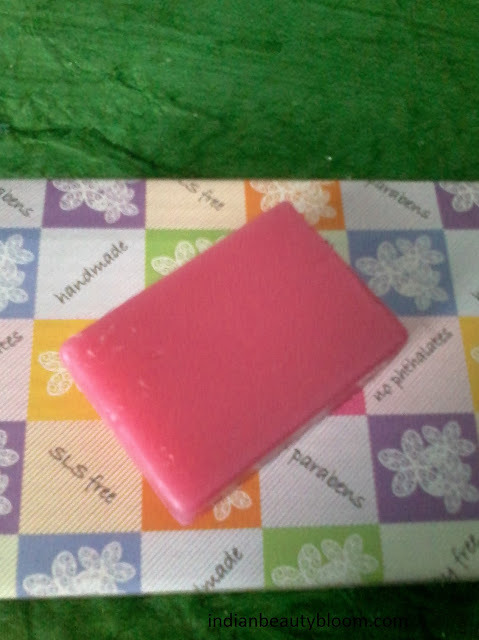 The soap is pink in color and has a nice fragrance . Price Rs 225 for 100 gms . Shelf Life : 2 years from date of manufacture . The soap is a type of Glycerine soap with rose fragrance and anti oxidants . Its a 100 % vegetarian product , free from chemicals , parabens , SLS . 2.Does not contains any harsh chemicals like Parabens , SLS , preservatives . 4.Since contains glycerine , good for winters . 5.Does not makes the skin too dry like ordinary soaps . 6 .Shelf life is 2 years which is good. 7 . Does not melts excessively . 8. 100% vegetarian product . I have used this product and i liked it , specially its fragrance , has a nice floral fragrance . It leathers well and is good for skin as it has glycerine . The best part is it does not makes the skin dry like other soaps .